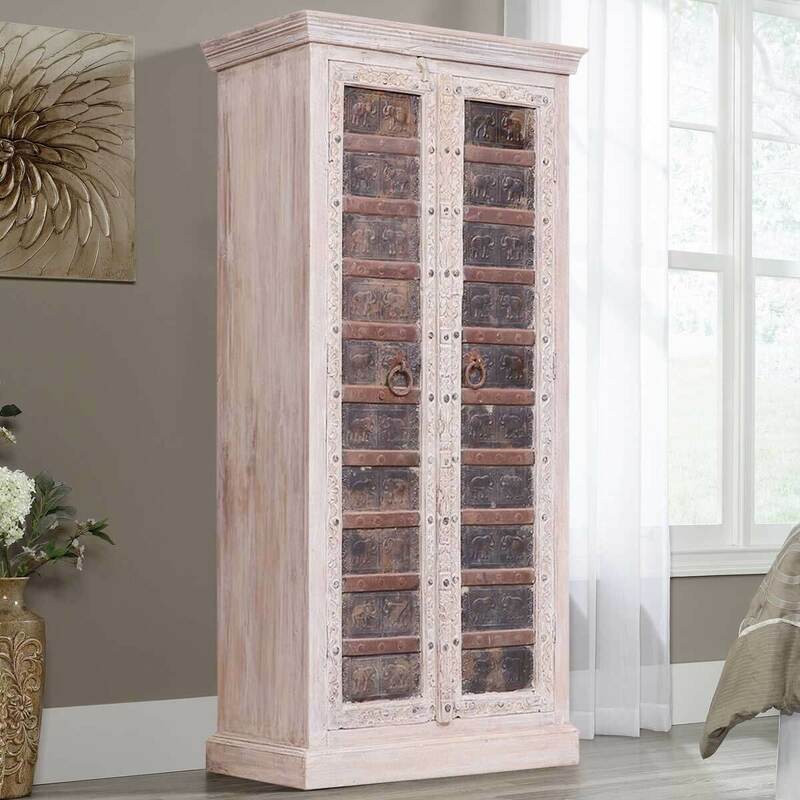 Who says you cannot blend elegance and charisma in the same piece of furniture? 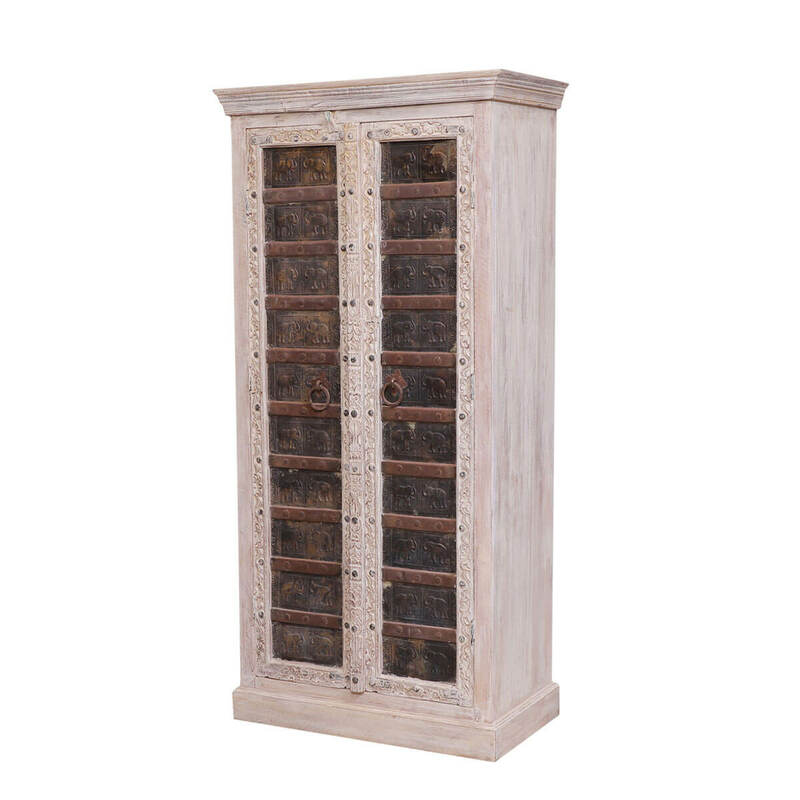 Just take a look at our Brass Elephant Door Reclaimed Solid Wood Cabinet Armoire for inspiration! 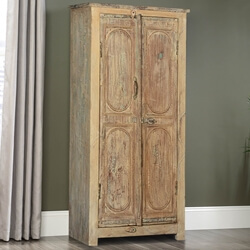 Comprising of a unique vintage and rustic visual combination, this tall storage cabinet armoire impresses with its impactful looks backed by the soft-hued backdrop. 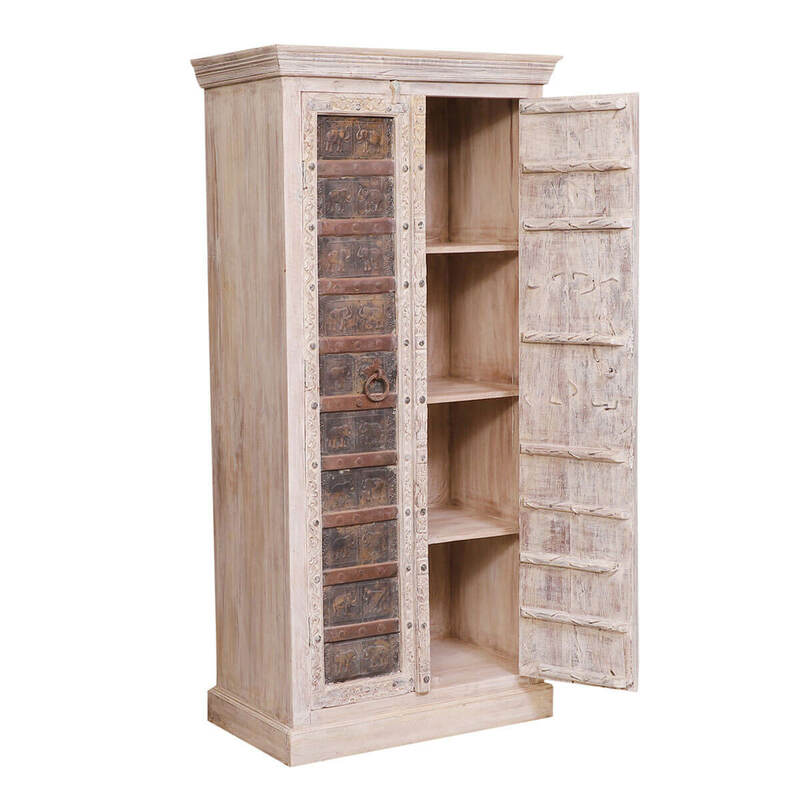 It has been handcrafted from solid reclaimed wood and thereby boasts a great heirloom quality as well. 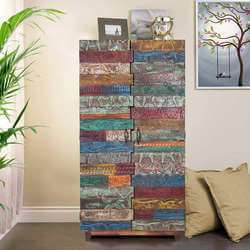 Its design has a simple concept, but the end result packs a huge punch. 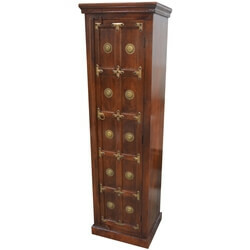 With its cornice-like top frame and antique style main body, it exudes an impressive charismatic appeal. 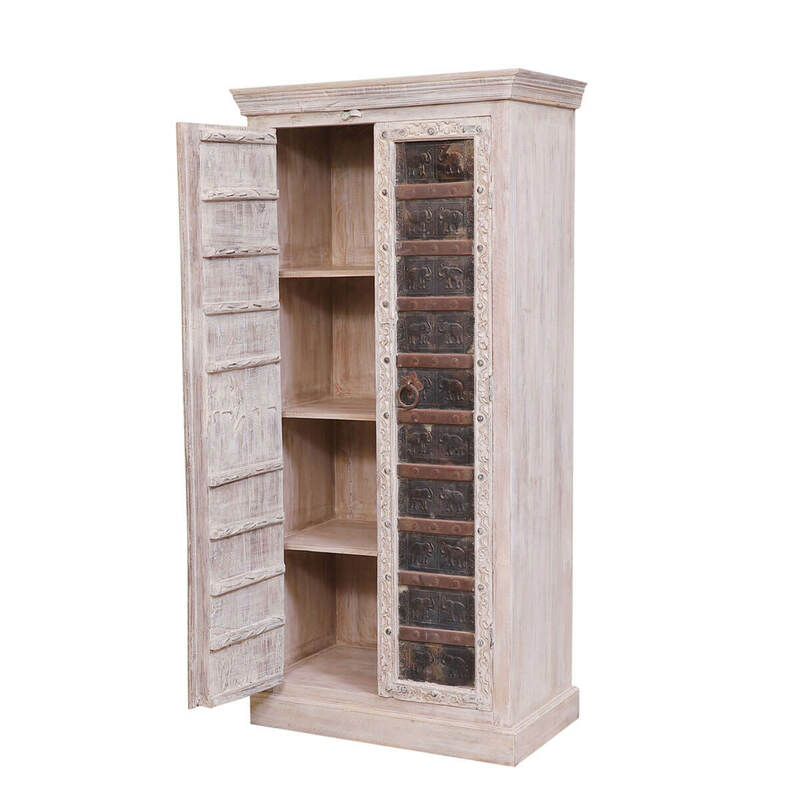 The main body comprises of brass-embedded elephant doors that open up to reveal 4 shelf compartments in the interiors. 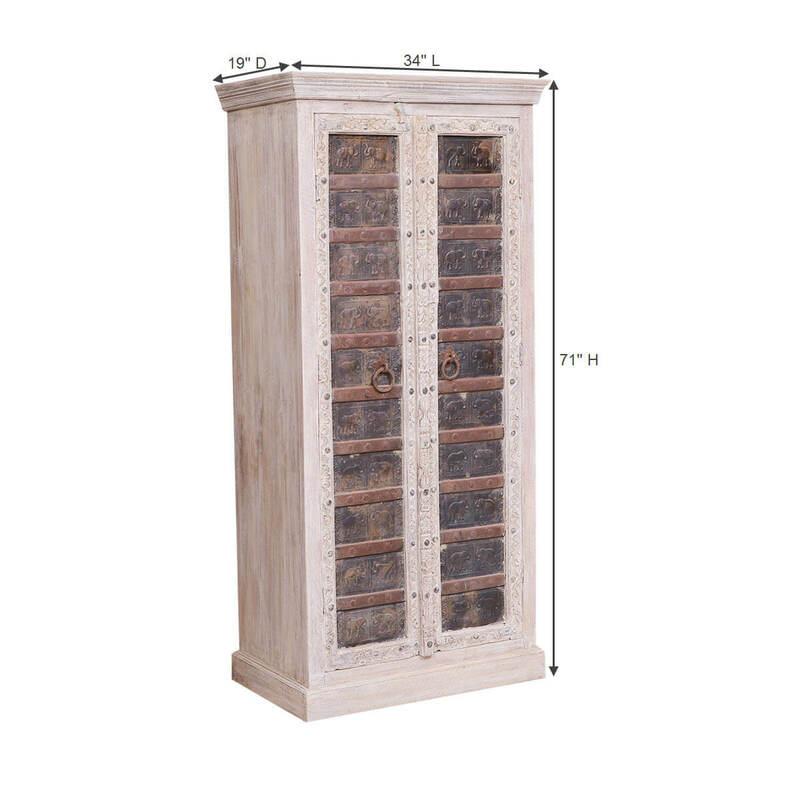 This means optimal storage space and excellent compartmentalization for the user. 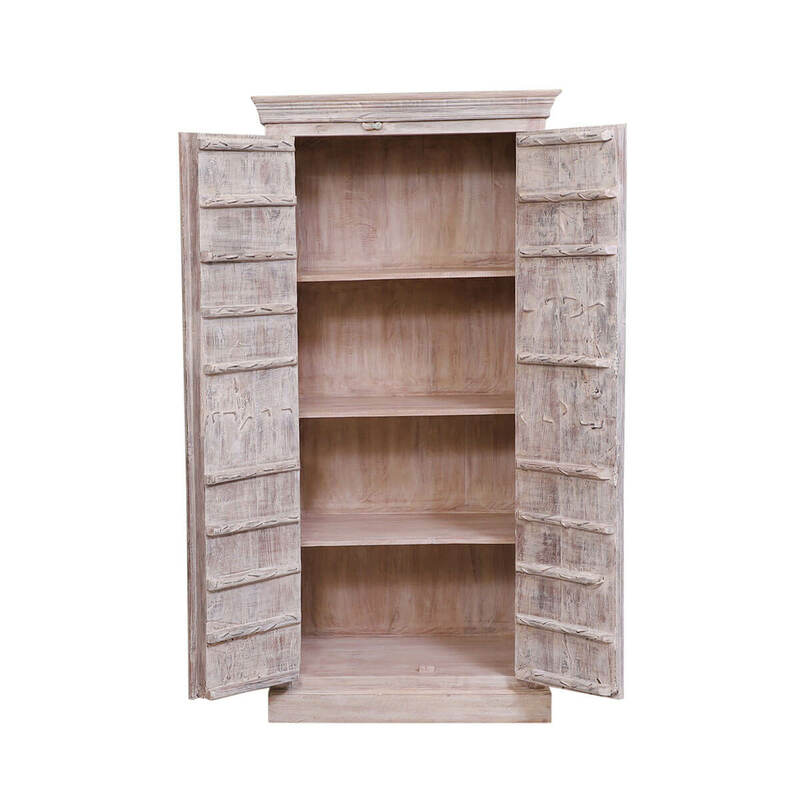 The brass finish of the door-leaves contrasts nicely with the distressed wood backdrop, while the platform base completes the whole look. 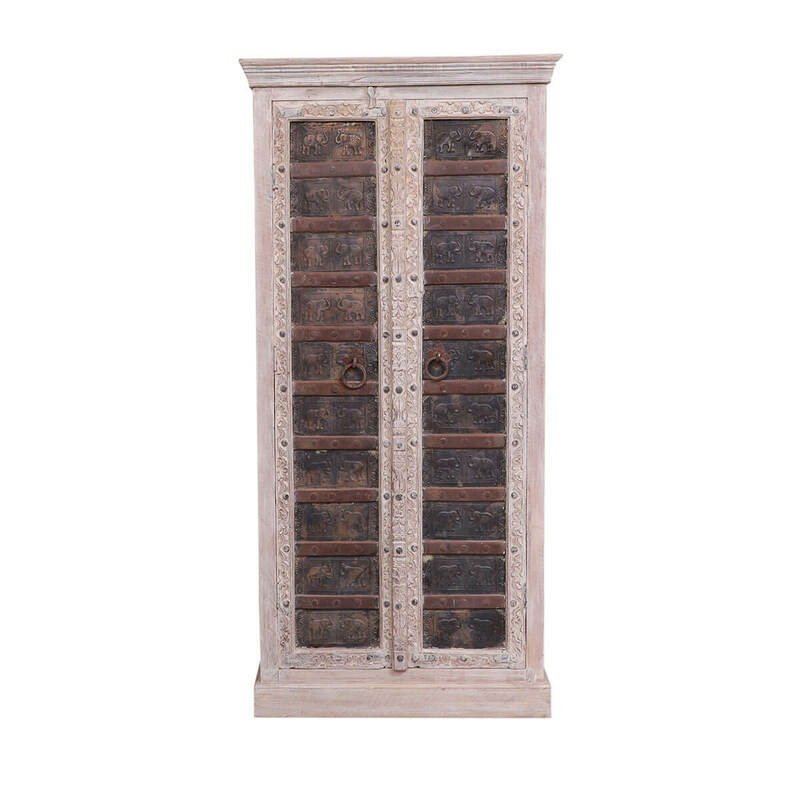 Despite being absolutely unique, this solid wood armoire cabinet remains constant in its visual flexibility. 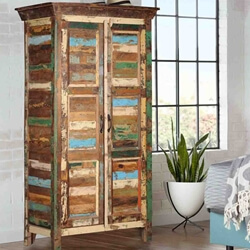 It can be featured in a diverse interior design palette, that includes but isn’t limited to rustic, industrial, eclectic, contemporary, and many more styles.